Robert Starke: “In coaching, it’s important to instil a high level of accountability, work ethic, healthy competition, and strong team culture. And it’s those same values that I apply to running a legal practice.” Photo: Supplied. Canberra ice hockey hero and commercial lawyer Robert Starke will bring a strong work ethic and team culture to Meyer Vandenberg Lawyers as the firm’s newest partner. 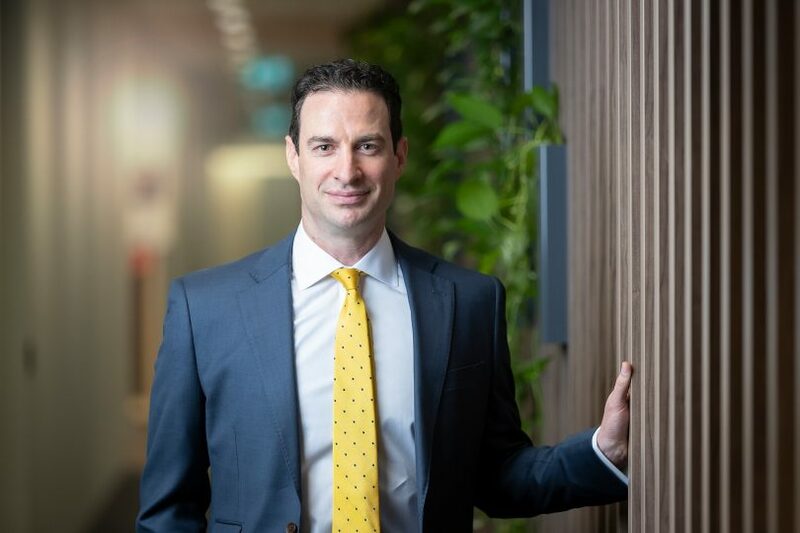 The coach of Canberra’s premiership-winning CBR Brave, Mr Starke has worked as a commercial lawyer in the public and private sectors for over a decade, and will head the firm’s corporate and commercial practice, in addition to wills and estates, government law, and sports law. Mr Starke moved to Australia from Canada to play in the Australian Ice Hockey League in 2004, lived in Newcastle and Sydney, where he studied and practised law, before moving to the national capital in 2017 with his wife and two boys. Keen to use his ice hockey skills to new advantage, he took over coaching of the CBR Brave and in only his second season at the helm, the team won the national championship and hoisted the Goodall Cup, breaking Canberra’s 20-year drought. He said the opportunity to join Meyer Vandenberg had come at a perfect time for him personally, with him and his wife deciding to settle in Canberra permanently. “I’m really enjoying integrating into the business community and the community at large. My ice hockey skates have been my vehicle in life, and have helped me pursue great opportunities locally and internationally,” he said. The announcement comes after Meyer Vandenberg’s Chair Archie Tsirimokos was also appointed Chair of the Canberra Business Chamber, cementing the firm’s commitment to supporting the ACT business community.